When Only The Softest Touch Will Do, Use These Ultra-Soft Facial Tissues To Soothe Delicate Skin And Runny Noses. Three-Ply Tissues Are Durable And Absorbent To Lock In Moisture And Prevent Breakthrough. Decorative Box Blends Elegantly Into Any Room And Dispenses Tissues One At A Time For Quick, Simple Access. 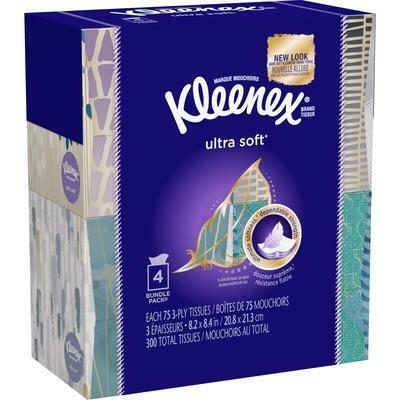 Tissues Are Perfect For Office Buildings, Schools, Restaurants, Doctor/Dental Offices And More.. When Only The Softest Touch Will Do, Use These Ultra-Soft Facial Tissues To Soothe Delicate Skin And Runny Noses. Three-Ply Tissues Are Durable And Absorbent To Lock In Moisture And Prevent Breakthrough. Decorative Box Blends Elegantly Into Any Room And Dispenses Tissues One At A Time For Quick, Simple Access. Tissues Are Perfect For Office Buildings, Schools, Restaurants, Doctor/Dental Offices And More.